The climb up the towering staircase was broken half way up by a penny ‘Testo Reaction Meter’. In plain language, a test your reaction coin drop machine mounted on a wall. I don’t remember the landlady but I do recall the eccentric Irish “maid” who slept in a bath – along with several bottles of Guinness – as her room was required for paying guests. Never having been to the theatre before, I viewed the special treat of an evening out to see The Bachelors live at Blackpool’s ABC Theatre as on a par with Christmas morning. Also taking into account the added bonus of two more chances to test my reaction. Cilla co-starred on that 1966 ‘Holiday Startime’ bill, which also included Mrs Mills and Freddie “Parrot Face” Davies. I didn’t realise it at the time but despite my dad’s endless supply of pennies, we were relatively poor. So the cheapest seats in the back row of the upper stalls must have accounted for a significant slice of my parents’ holiday budget. Whatever it cost, it was worth it. As soon as Cilla – aged 23 – appeared on stage, I was in love. Feeling sure she was talking directly to me. Some 18 months later, allowed to stay up on a school night, I sat transfixed in front of our Rediffusion black and white TV. When Cilla walked on to our screens in her first ever television show – BBC TV’s ‘Cilla’ – on the evening of Tuesday January 30 1968. It was over 25 years later when I next saw Cilla “live” – in rather different circumstances to Holiday Startime. The venue was the Penthouse Suite of London’s Dorchester Hotel. Cilla sparkled like the champagne that flowed during our interview. With her husband Bobby standing at the back of the room and within her direct eyeline. 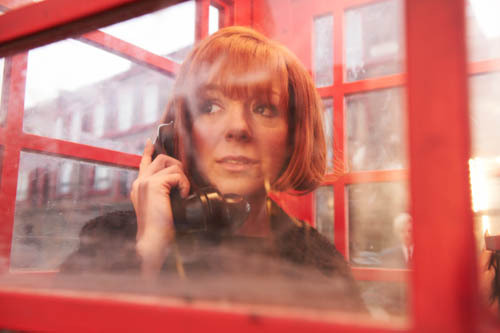 Sheridan Smith gives, perhaps, her finest ever screen performance as Cilla in ITV’s drama of the same name, which begins at 9pm on Monday (Sept 15). Not least in an astonishingly good vocal performance, singing live on set throughout. A perfect piece of storytelling from writing genius Jeff Pope. 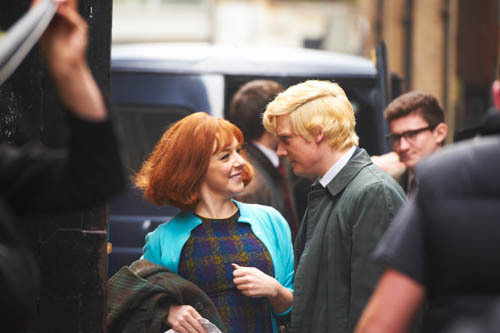 At its heart the love story of Cilla and Bobby Willis, the fellow “scally” who later became her husband and manager. As well as their relationship with The Beatles’ manager Brian Epstein who guided her to stardom and died in tragic circumstances. I cried when I read the scripts several months ago. With no further need to test my reaction every time I watch the three completed episodes. Which will be five times to date. One of the best television dramas I have ever seen. I still have no real idea why this wonderful production brings me – and others – to tears. Except to say Cilla is a hugely entertaining, beautiful and truthful story about life, love, heartbreak and the wonders of a red telephone box. With thanks to all involved from a little lad in the back row of the gods. 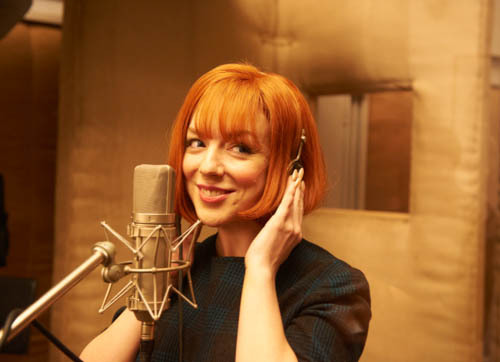 It was an honour to be asked by ITV to write the cast interviews for Cilla, which I completed earlier this year. 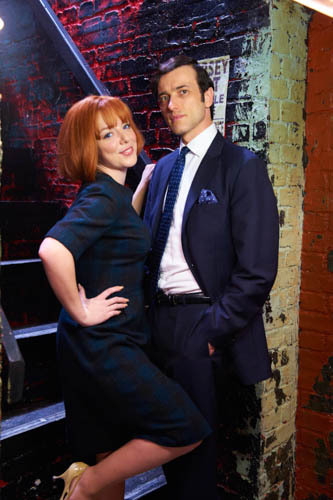 Sheridan Smith (Cilla), Aneurin Barnard (Bobby), Ed Stoppard (Brian Epstein), Melanie Hill (Big Cilla) and John Henshaw (John White) all give award-winning performances. In yet another stunning drama project from writer and executive producer Jeff Pope, director Paul Whittington and producer Kwadjo Dajan. The team behind Mrs Biggs – also starring Sheridan – and much more. 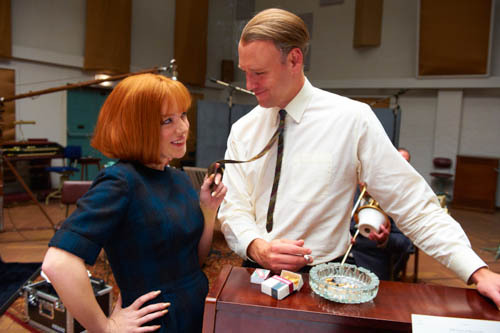 Click on the link below to read my Cilla cast interviews in the ITV Press Pack / Production Notes. 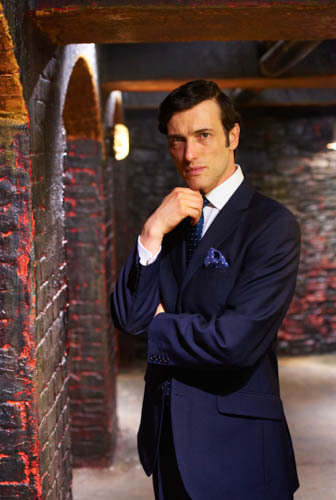 And scroll down for my Q&A transcript from the later London press launch – held on Friday August 15 2014 – where all three episodes were screened, as in a feature film. Younger readers who only know Cilla from her Blind Date and Surprise Suprise era may not realise just what a hugely successful singing star she was in the 1960s. Listen, for example, to this recording of her singing a demo for Step Inside Love, written by Paul McCartney as the opening and closing theme song to that first BBC TV series. Q: From me, as it happens – could I ask Jeff what stories he set out to tell and the themes he wanted to explore? Q: Sheridan – how many hours of research did you have to do? It must have taken months? 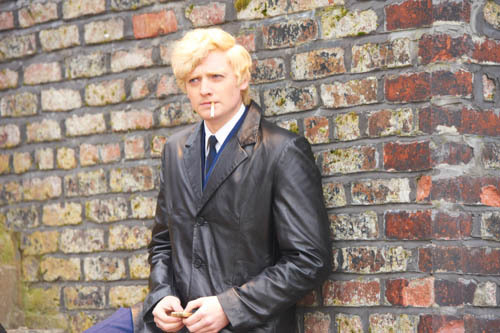 Q: Research, Aneurin and Ed? Q: Has Cilla seen it yet? And if she hasn’t, what do you think she is likely to make of it? Because there are times where she comes across as being quite an unsympathetic character. People may not know that that’s how she was? Q: Three quick questions: Was there ever a suggestion that Cilla might have a cameo role in the film..? 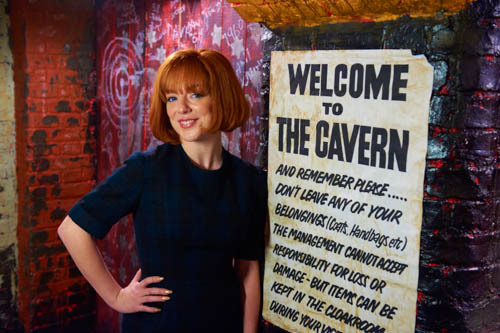 Q: Sheridan – what impact did playing Cilla have on you? How did you feel when you were playing her? Q: Did she give you any tips? Q: The Cavern Club in Liverpool was such an iconic moment in time in music history. How was it for all of you re-creating that time and that atmosphere? 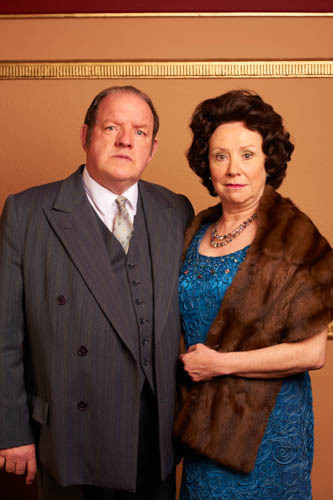 Q: For Jeff and Sheridan – you, of course, collaborated together on Mrs Biggs famously. When you thought of doing Cilla, did you immediately think of Sheridan? And tell me about the genesis of the two of you getting together again on this new project. 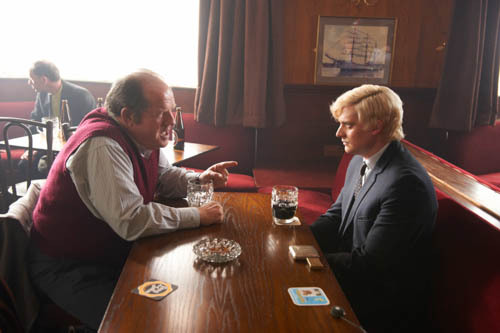 Q: In the drama we see how Cilla stops Bobby from having a recording career. Do you think that was for the best or do you think it was a missed opportunity? Q: Jeff – so do you think that seeing Cilla’s more unsympathetic moments as unsympathetic would be too simple a reading? When people watch it, do you think that’s the wrong message to take from it? Q: Did you get the feeling that she regretted these hard moments at all or is she comfortable with them even now? Posted in News and tagged 1960s, ABC Theatre, Aneurin Barnard, Big Cilla, Blackpool, Blind Date, Bobby Willis, Brian Epstein, Burt Bacharach, Cilla, Cilla Black, Coin Drop, Ed Stoppard, George Martin, Holiday Startime, ITV Drama, Jeff Pope, John Henshaw, John White, Kwadjo Dajan, Liverpool, Melanie Hill, Merseybeat, Paul McCartney, Paul Whittington, Priscilla White, Reaction Meter, Robert Willis, Sheridan Smith, Stuart Wood, Testo, The Beatles, The Cavern Club, TV. Bookmark the permalink.